Within the food and beverage industry, day-to-day life consists of endless processes, tests, operations, plant mechanisms and routines. 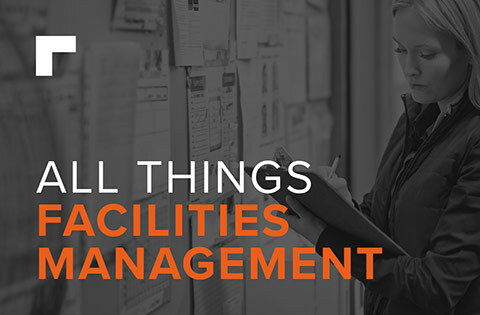 While there are several common factors that unite them all, the challenges that each food and beverage facility face can vary drastically. For example, the demands that a meat processing plant may face will be very different to that of a winery or craft brewery, while a dairy farm will take into account very different environmental concerns compared to a food packaging plant. 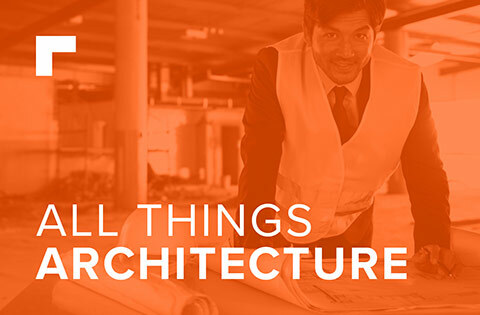 To ensure that each area of a facility can function properly during the design, build, maintenance and refurbishment stages of a site’s lifecycle, all operational parameters must be carefully considered; taking into account how each process must work simultaneously with the next. Regardless of specific onsite challenges, such as corrosive alcohol spillages, low temperatures for meat produce storage or manoeuvring heavy machinery, doing this properly will mean that the site in question can continually perform at its best. Specifying the right floor is fundamental to this, as any damaging effects to the finish can lead to an increased risk of contamination, resulting in safety and productivity issues. Luckily, there are flooring materials in the market that can help to combat this very issue. 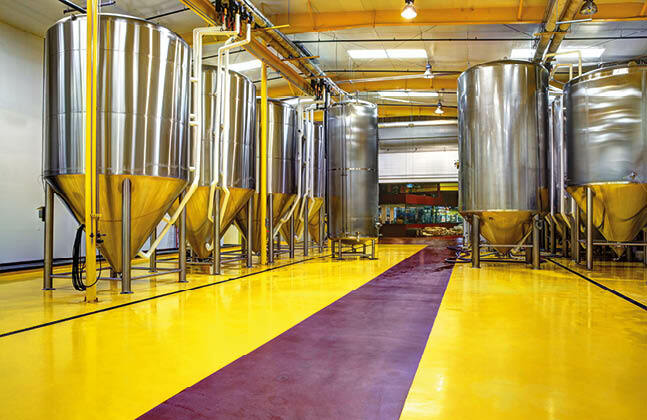 Flowcrete UK developed the Flowfresh range of antibacterial enhanced polyurethane coatings that are built to withstand the demanding situations within food and beverage facilities, from general workload to impacts from heavy weights and exposure to corrosive substances. Thanks to its versatility, Flowfresh can be tailored to different working conditions to ensure that the floor is optimised for the facility and ready to combat the challenges at hand. Key cleanability characteristics such as coving and drainage, as well as other properties such as thickness, pitch and colour can all be adjusted to best suit each site’s specific operations. Whilst is may not seem like a major benefit, being able to specify and customise the colour of the flooring can help to optimise site safety. Take a meat processing facility as an example. One area within the site may be dedicated to raw produce, whilst another handles cooked produce; evidently cross-contamination must be avoided as this poses dangerous health and safety issues. Different coloured flooring could be used to visually separate the areas, so that staff moving about the space can instantly recognise which section is which. Crucial safety features such as the floor’s slip resistance can even be adjusted in the Flowfresh range to best suit the liquids and substances that are likely to fall to the floor. To achieve this, anti-slip aggregates are incorporated into the resin system to create a textured finish that actively enhances traction underfoot. 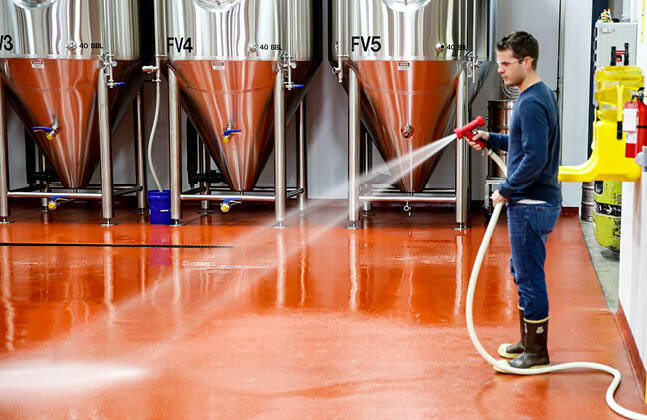 A coating with a more textured finish can be more difficult to clean than a smoother coating, and so the level of slip resistance should be balanced with the onsite cleaning regime. 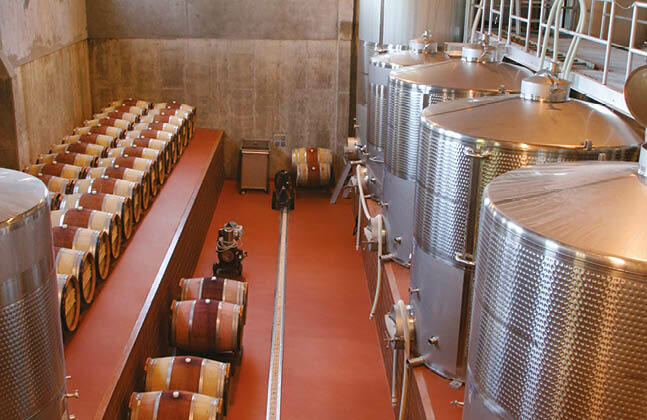 Getting the combination of safety and cleanability just right is vital in large-scale food industry plants, where it’s possible for the slip resistance requirements to change from room to room. 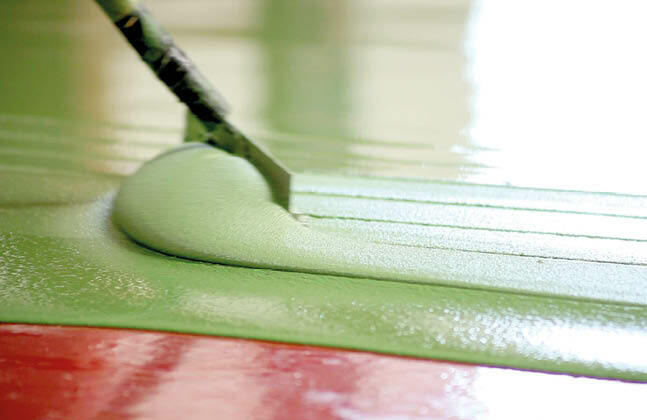 Installing new flooring or refurbishing old surfaces can often mean shutting down areas of a site, which can have knock on effects throughout the production process, and therefore it is important to keep downtime to a minimum to ensure a regular, uninterrupted flow of produce. Flowfresh not only minimises the initial need for a flooring refurbishment (thanks to the durability and extensive lifespan of these systems) but it can be installed without causing significant disruption. 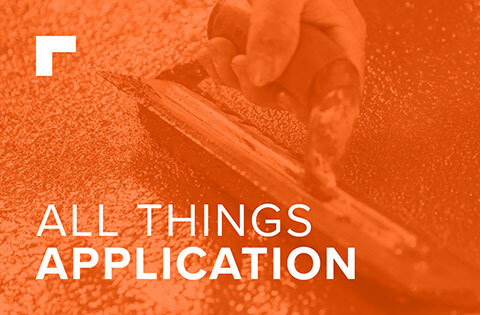 For projects that need a rapid turnaround, methyl methacrylate (MMA) systems are available that provide industrial standard surfaces within a curing time of 60 minutes. 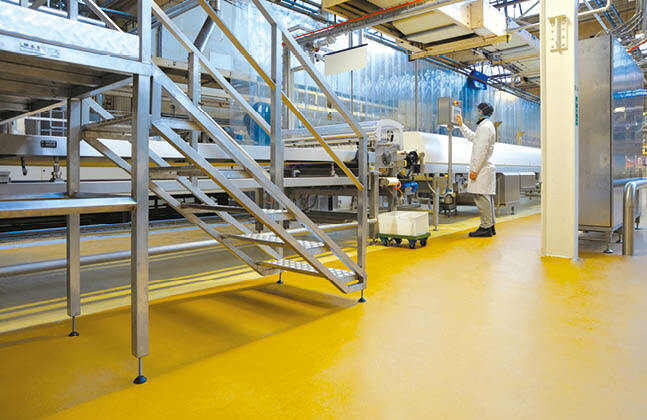 The versatility and suitability of Flowfresh for the food industry was exemplified at McVitie’s production facility in Glasgow, which needed robust, hygienic floors in a variety of textures throughout its busy production room. Flowfresh RT in bright yellow was applied across the main thoroughfares of the plant’s Line 14, providing a sanitary, slip-resistant surface for this contamination-sensitive area of the site. 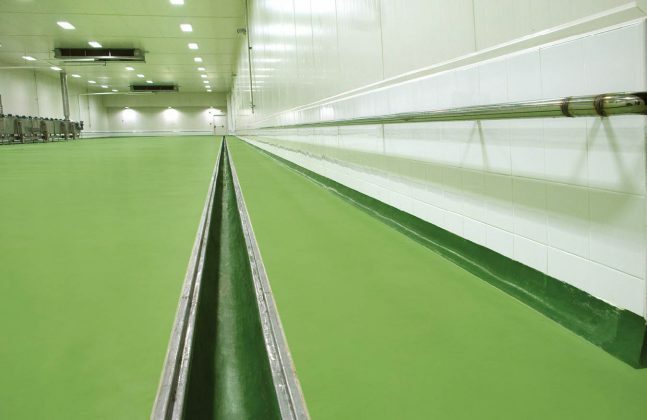 The smoother finished Flowfresh MF system was used directly beneath the production line however, as the floor needed to be much smoother here to ensure that this hard to reach spot could be easily cleaned. So that the factory could remain running, the installation was undertaken in four weeks during two phases, with Line 19 seeing the coating applied in a live working environment. To find out more about Flowfresh and other food-safe resin floors, or to book your free flooring consultation, click here. 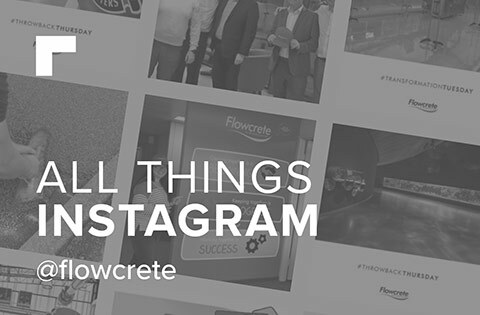 Alternatively, leave a comment below and our flooring specialists will be in touch.